A Clockwork Orange is 50 years old today! To celebrate this significant milestone, we’re offering a special 25% discount off our very own A clockwork counterpoint, by Paul Phillips. 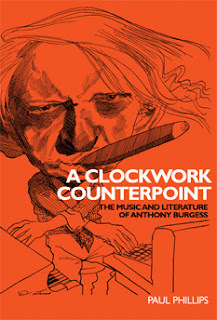 A clockwork counterpoint is the first book to examine the musical side of Anthony Burgess, an astonishingly prolific, underrated and talented composer, revealing how his lifelong involvement in music is an essential key toward understanding his life and work. To take advantage of this celebratory offer, simply contact our distributors on +44 (0)1752 202301, or email your details to [email protected], quoting the discount code OTH284. This offer expires on 30th June 2012. Category: Literature, Music, Sociology	3,277 Comments.